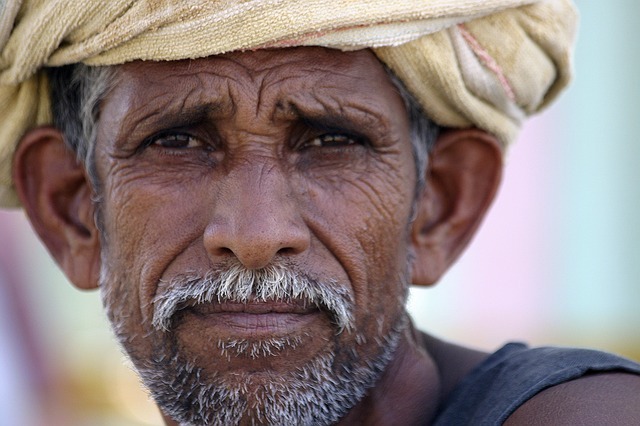 There's no dearth of sympathy for Indian farmer - but there're not many solutions. Currently, farmers are a huge news item, not because of the laggard rural infrastructure, but because of the suicide death-toll. I understand they are poverty ridden. But that is not the news. Farmers have always been poor - but may be that's also an exaggeration. A percentage of farmers are really poor - and there're farmers who do really well, and many in-between. It's a scale really, like EVERY OTHER BUSINESS & PROFESSION. Some people do well, some don't. Farming has it's own risks associated. Bad weather is one big factor. You could call it a calamity - but it's predictable and recurring. So, it could be classified into occupational hazard / risk. Like personal safety in police department, or new technology making the old technology redundant in software industry. There's also the question of contribution to tax and general economy. Land is a limited resource. Is Indian farmer producing at their absolute best? I'm sure many are - they clearly are not the ones committing suicides. But those who aren't - they are not only keeping themselves poor, but also wasting a very limited resource land - in a very populated country like India. Do they need an out? Yes. Do they have the opportunity. Probably not. So, these farmers, who clearly can't sustain their enterprise, can't mitigate their predictable risk, are illiterate, have way too many children - are in a big fix, probably this is why they're suicidal, but frankly they themselves are a big part of the problem. Farming is a failing enterprise for many. It's a system which is not sustainable. Why shouldn't the land be used by more capable hands to produce better yields - and more importantly more responsible yields. As we know, over use insecticides and pesticides is another big issue. And it impacts everybody. You can't expect people who can't feed themselves two-times properly to be responsible, they're way too desperate for that. We need to stop putting our farmers on a pedestal. Because it's not good for anybody, not for the economy and definitely not for the farmer. It's only good for sensation seeking media and agenda-less political parties. Rest us all are being used in this. I mean what is the tax contribution of the rural economy really? And yet they're quota-ed a large portion of hand-outs? Hand-outs is a very myopic solution to this problem. And isn't this all what this hullabaloo about? Farmer lobby wants government (means the taxpayer) to absorb their loses, not once, but every time the nature strikes - or they will be forced to kill themselves and make a scene. Farmer is not poor - let's absorb this fact. City-dwellers have watched too many old-films to make this image of poverty ridden helpless farmer. Farmer is not as poor as homeless people you see in the cities - the ones who sleep under the flyovers. Farmers are sitting on a lot of locked wealth - their land. And they don't know what to do with it - except produce an unsustainable yield which can't run their own household well for one season. So, bottom line, it's bad business. And economy which supports bad business artificially can never create wealth, but becomes poorer. Land acquisition bill is an excellent and balanced solution to handle this very large and unmanageable problem. It gives the failed farmer an out - a very fair and reasonable out. And the farmer which is not misinformed by a systematic slanderous campaign in leftist media knows this fact too. Those who still want to continue be the farmers and make their enterprise profitable and sustainable - need to improve their act and start becoming more responsible for their own well-being, like everybody else does. What India needs post land acquisition bill is a viable and attractive crop insurance scheme. If weather is an occupational risk - it's the farmer who needs to mitigate it through insurance. Government can make it attractive by paying a percentage of the premium for the early adopters. But that's where it ends. If you can't come up with rest of the insurance premium despite all the support, then may be farming is not meant for you. Don't waste the land, it's very limited in our growing economy. You can do much more at much less risk. The pro-handout forces will howl bloody murder - and the government which takes the bold decision to overhaul the system will be written-off by the TRP-ridden media. But this is where the development story will be written - cutting out the wastage and making the agrarian economy healthy, in India's case for the very first time.